From 2007 - 2011 I worked in WGBH Boston's Children's Interactive group. 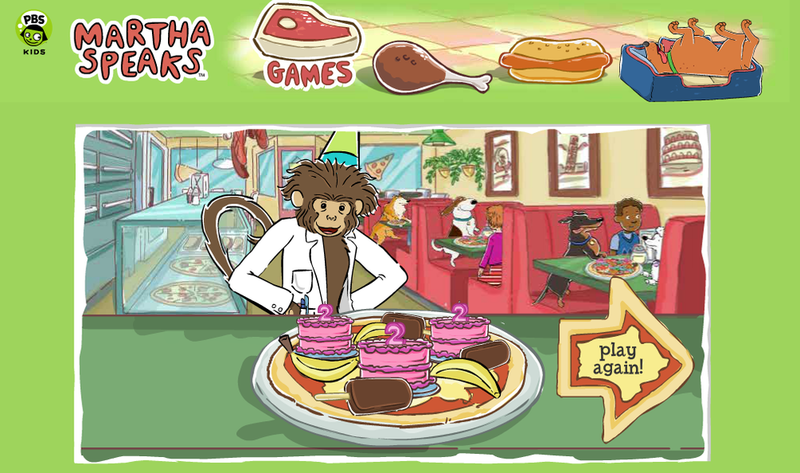 During my time there I worked on a range of Children's brands including Arthur, Curious George, Zoom, Design Squad Nation. 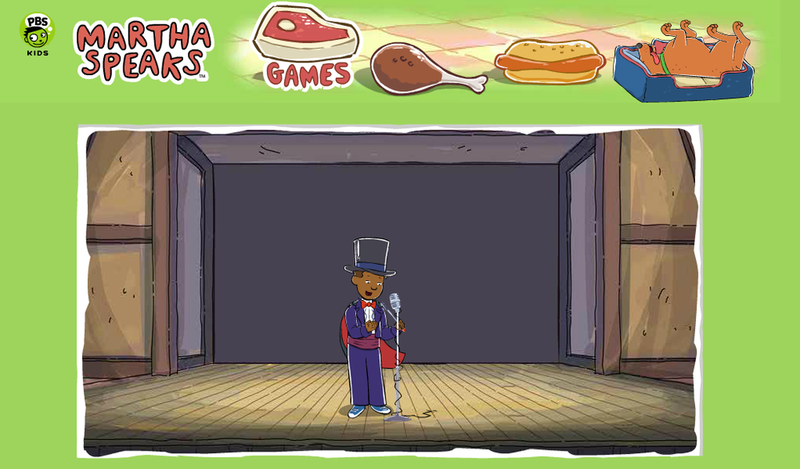 However my primary project during that time was Martha Speaks. 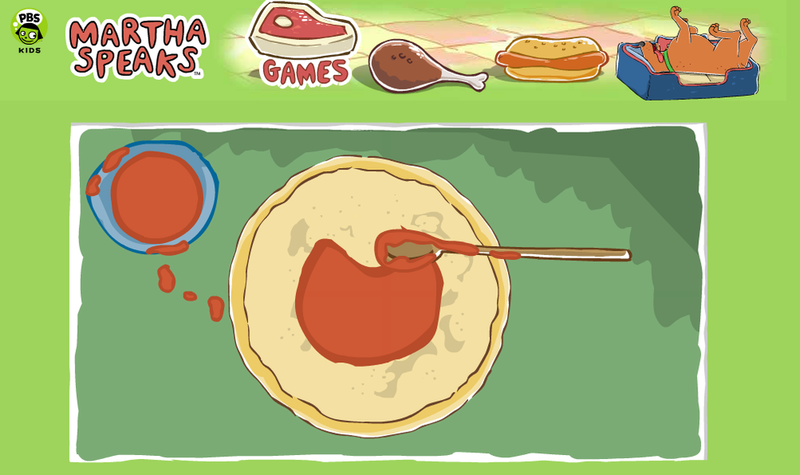 On Martha I was able to tackle a number of different responsibilities including game mechanics, animation, sound design, music scoring, information architecture, user experience and storyboarding on multiple platforms. These are just a sample of the interfaces and game scenarios I designed during my time on the project. 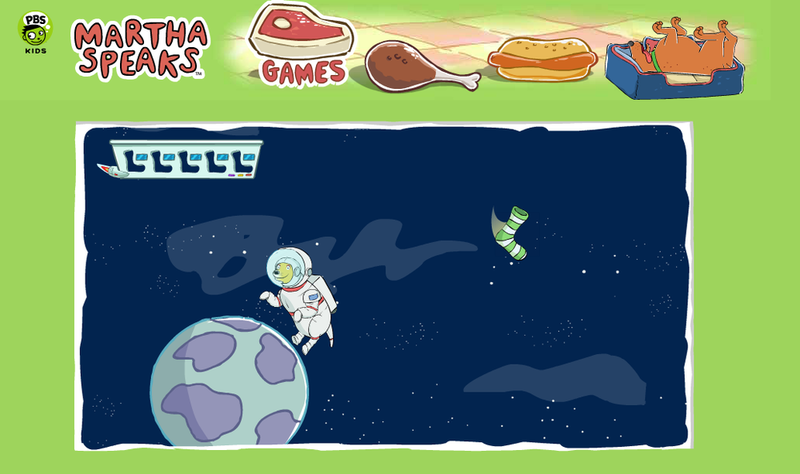 Socks in Space was an experiment in minimal UI design. Young kids in Martha's age group (4-6) often have difficulty with moving and clicking simultaneously. This creates challenges when designing UI elements, forcing designers to carefully choreograph moving elements, their speed, and at which point they can be clicked. So for this game, I decided to remove the clicking element, reducing the interface to a simple "point-to-explore" interaction. 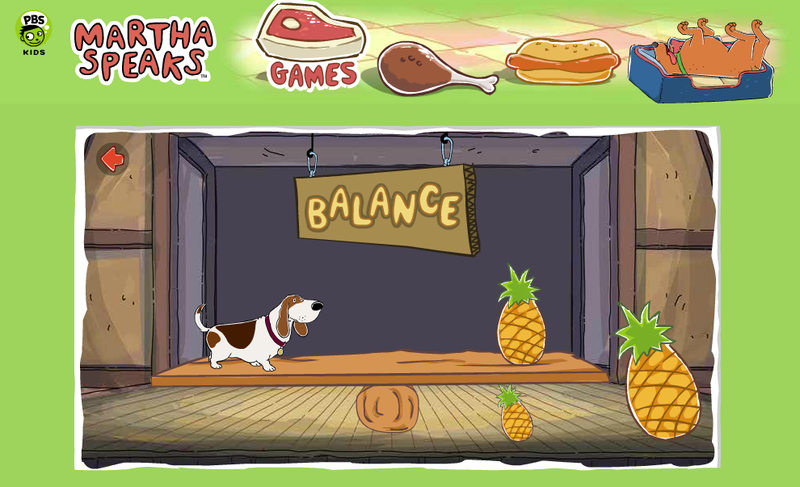 Specifically, users can move their mouse to a point on the screen to which they want Martha to float. As the screen moves behind Martha, users reveal planets, space cats, and the lost socks they are tasked with collecting. For this game, I drew inspiration from Wario-ware, an (at-the-time) seemingly experimental game format consisting of a ton of small, quick mini-games. This format tied perfectly into our educational strategy for this unit. 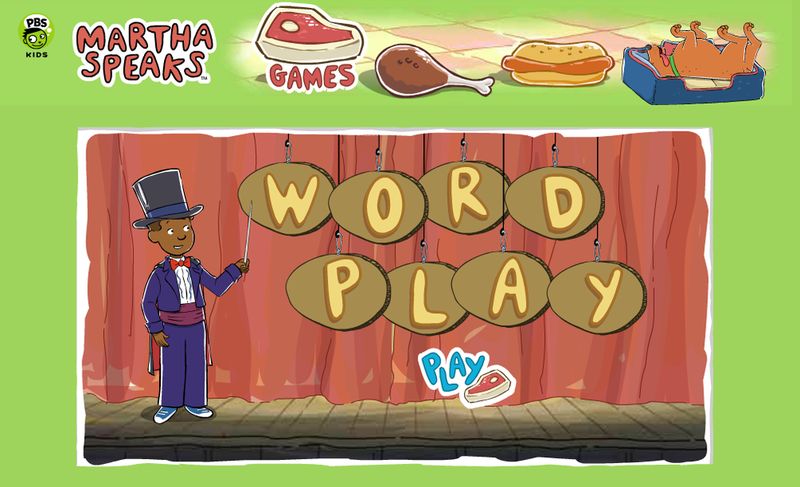 By creating a number of quick games for each vocabulary word, we were able to give our users multiple contexts in which the word could be used. 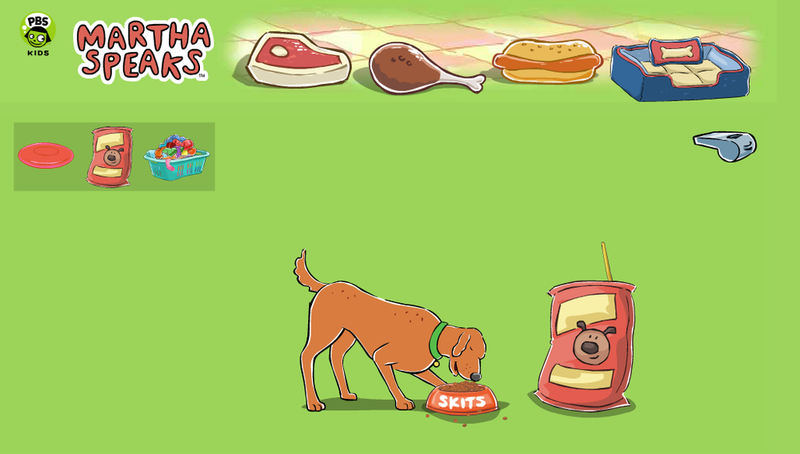 Inspired by gestural interfaces, like those found on the Wii, I designed the actions in Skits Cooks to react to simple gestural motions. 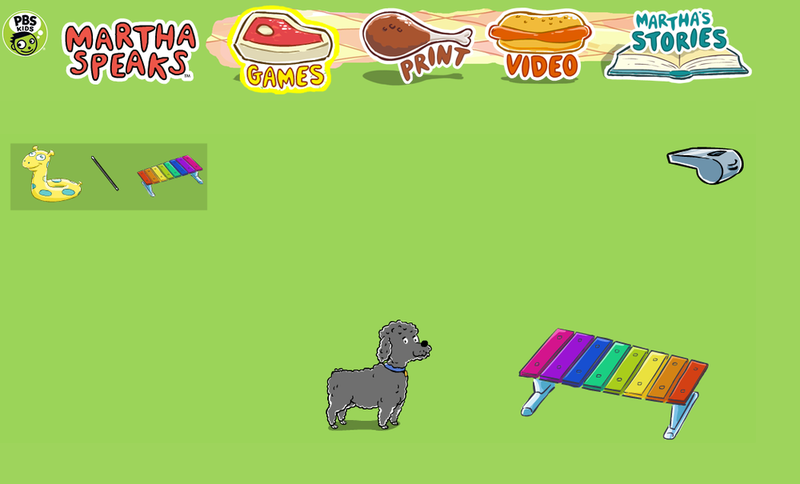 By simply moving the mouse up and down, left to right, or in a circle, kids can control the dogs to make pizza in a dog-owned parlor. We also experimented with particle generators to react to the user's movements to create a more dynamic experience.